Stock NC35 carburetors with airbox removed. 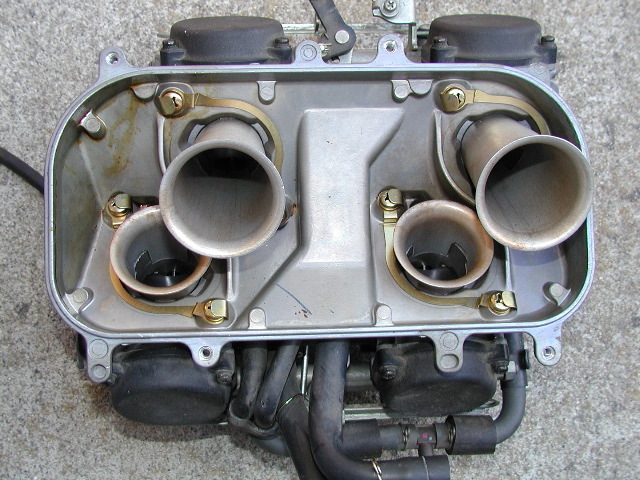 The NC35 intakes are metal, and they point straight out of the carb throttle body (no bend). (top of picture is front of bike).